Music is very important for a child’s developing brain. 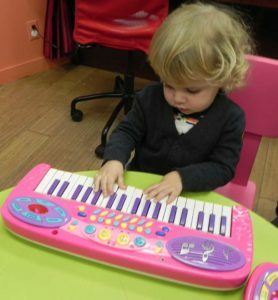 Your child is guaranteed to have an enjoyable time while learning the foundations of music appreciation and unlocking their hidden musical talent! Call us for any specific questions about any of our classes and programs.